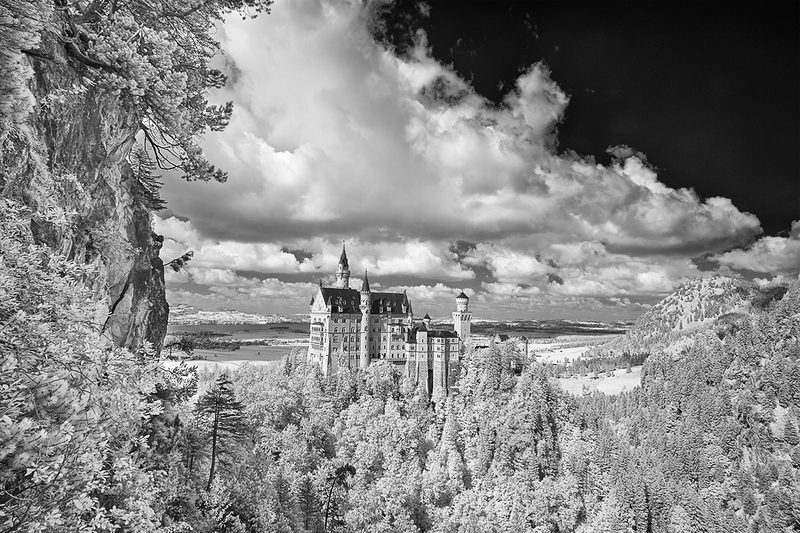 Neuschwanstein Castle is a nineteenth century castle based on the Romanesque Revival style built on a rugged hillside above the village of Hohenschwangau in south-west Bavaria. 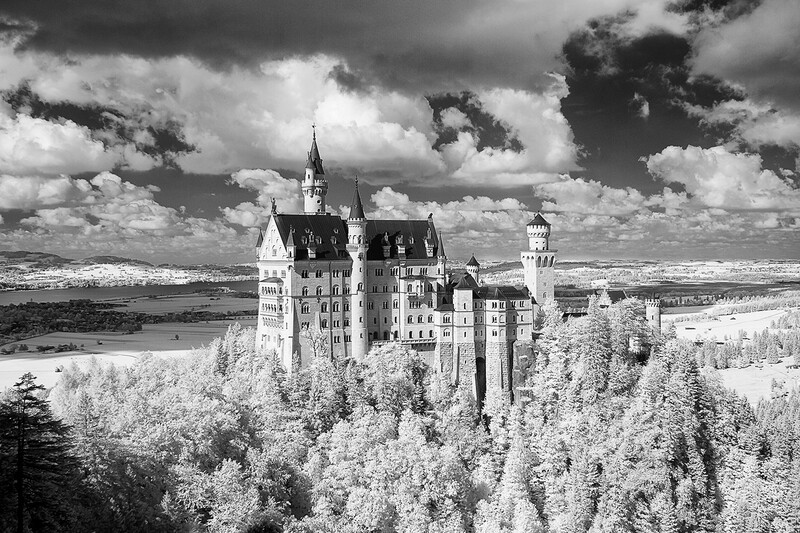 It was commissioned, at considerable expense, by King Ludwig II and the foundation stone was laid in 1869. The castle was intended as a refuge for the reclusive King and he moved into the unfinished castle in 1884 but he lived there for only 172 days before his untimely and somewhat mysterious death on 13 June 1886. The castle was opened to the public almost immediately afterwards. Some 1.3 million people now visit annually. The castle served as inspiration for Disney’s Sleeping Beauty Castle and has appeared in films such as ‘Chitty Chitty Bang Bang’ and ‘The Great Escape’. This photograph was shot from the Marienbrücke Bridge over the Pöllat Gorge from which a spectacular view of the castle and the landscape beyond can be had.